Matching up with the exact requirements of customers, we are involved in presenting wide array of Plastic Bottle Cap. 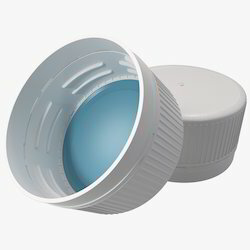 Our caps for water/soda/oil ranges around : 28 mm Our caps for jars and containers ranges as : 53/63/73/83 mm About Product : We manufacture fine varients of caps for pet bottles , containers and jars for varying ranges with high end of reliablity and durablity. We have carved a niche amongst the most dominant names in this domain, instrumental in providing excellent quality range of Plastic Bottle Cap. 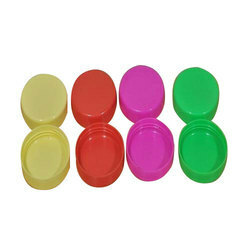 Being a well-distinguished company in the market, we are into offering Round Bottle Cap. Our company has considered the requirement of the customer and has successfully catered with the following wide product range in Bottle closures/Caps.